Maccha House Matcha Kan has become really popular especially among young people, because its special matcha tiramisu has been on TV and social media many times. You can eat it in a masu, a traditional square wooden cup originally used to measure rice or drink sake. The matcha tiramisu is 550 yen (without tax). I ordered it with green tea, which is 850 yen (without tax). They have parfait, too. 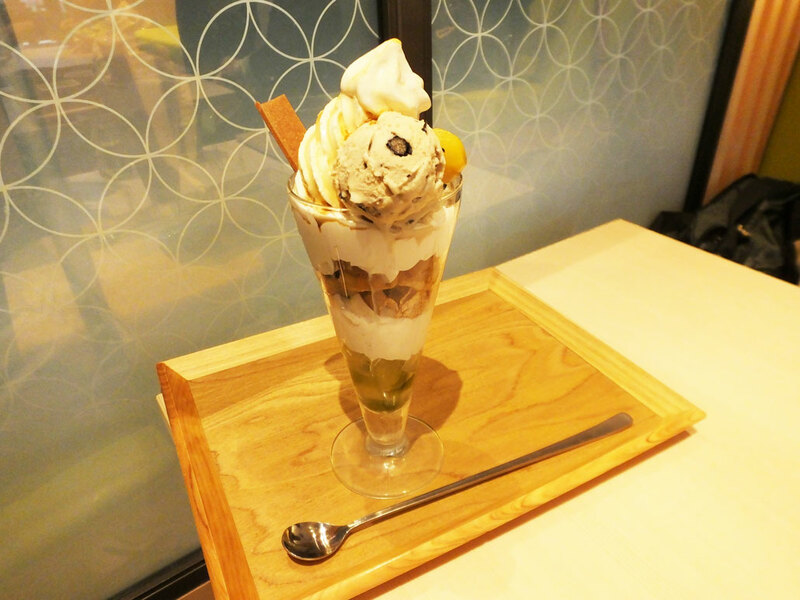 The kinako parfait looks very Japanese as well as the matcha tiramisu. Kinako is roasted soy flour that many Japanese sweets include. It is 900 yen (without tax). 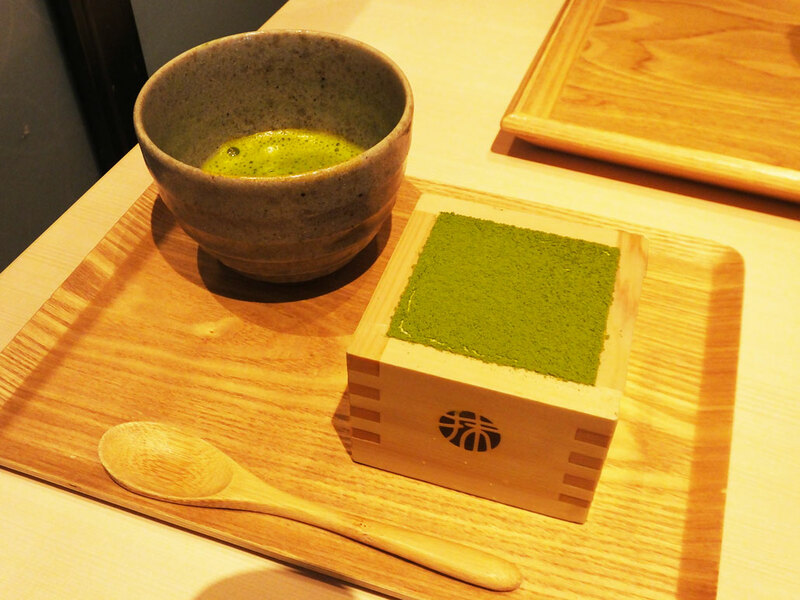 Located at the center of Kyoto City, Maccha House Matcha Kan on Kawaramachi Street is very famous. However, you will wait in line for a very long time. I heard sometimes you need to wait for more than 3.5 hours! Where I went to is the same cafe at a shopping mall in Shiga Prefecture, Mitsui Outlet Park Shiga Ryuo. I waited for only 30 minutes even though it was Sunday. 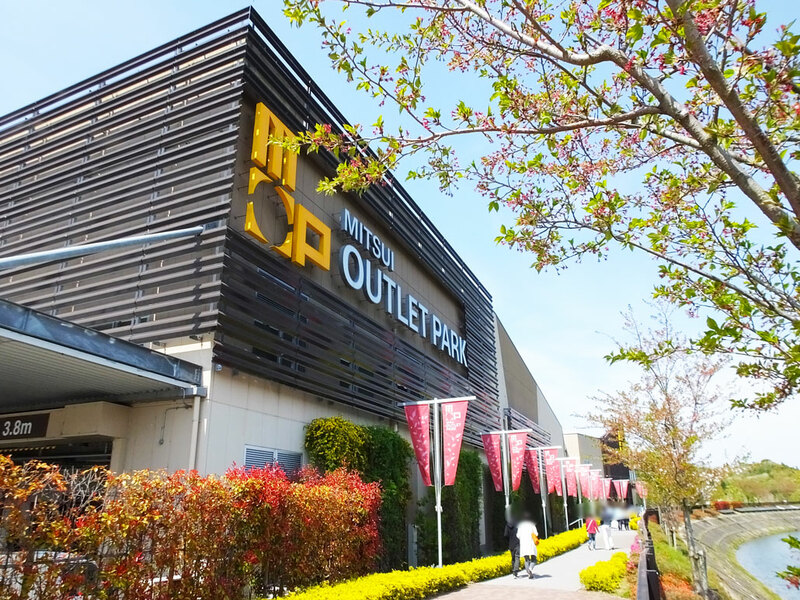 I recommend to visit here when you go to the shopping mall. Sun.―Thu. 10:00 a.m.―9:00 p.m. Fri.―Sat. 10:00 a.m.―10:00 p.m.